Faced wild a cold winter morning, many of us have started our car with one key, locked the car with the spare set and gone back indoors while it defrosts however these days are long gone thanks to smartphone remote start-up systems such as Viper – available for almost any car on the road today. 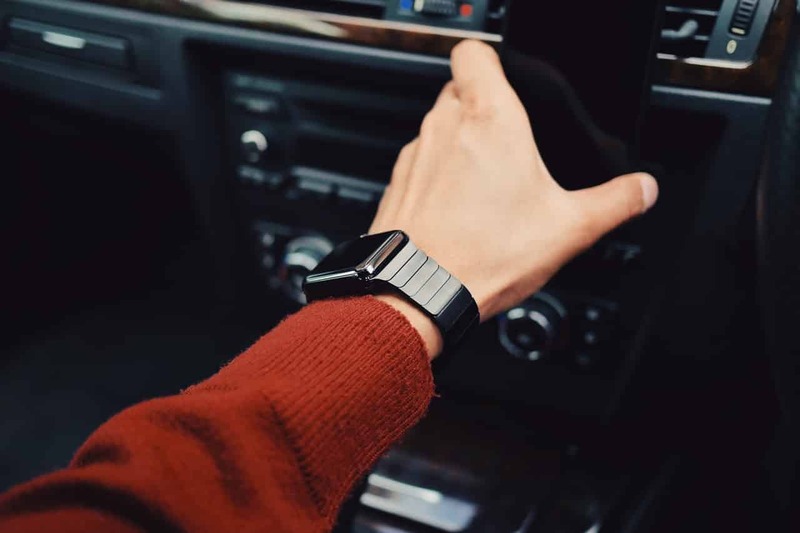 As well as the main feature of starting our car remotely, the app also boasts features such as vehicle locator, the ability to track the car’s location and speed as well as the ability to start the car based on commuting habits. We’re all familiar with the amazing footage surfers, snowboarders and rally car racers can get from GoPro cameras however they can also play their part on the roads too. With the ability to take panoramic videos of beautiful landscapes as you drive through a 4K Ultra HD camera, it also has time lapse capabilities with built-in WiFi and Bluetooth. If the GoPro is out of your price range, the Nextbase 312GW is a cheaper alternative offering GPS functionality to record speed and location as well as WiFi functionality to download video clips or images to your smartphone. Aside from taking beautiful photos as you drive, you might be wondering why you would need a dash cam? With the number of accidents on UK roads each year, dash cams are great for recording video of what’s going on around you as you drive. With some dash cams recording in 2 directions at once and saving footage to a time-stamped memory card it benefits you in the event on a collision. More than half of all brand new cars sold have rearview mirrors included helping us squeeze into smaller parking spaces easily and prevent drivers from hitting anything when reversing. Many rearview cameras can be installed inside your car whilst others can be discreetly installed above your license plate. Both options provide visibility behind your vehicle and these can hook up to your in-car infotainment system or another rearview camera monitor. Mostly every new car will have Bluetooth built-in allowing you to make and receive calls through the car’s speaker system. However, if you have an older car, fear not, bluetooth handsfree kits can be purchased which plug into your car’s aux-in port. Whether you want to make a call whilst driving or listen to music from your smartphone as opposed to the radio, many bluetooth kits also have echo cancellation so your voice can be heard loud and clear even on noisy roads. If your car is particularly old and you don’t have either auxiliary or USB ports, you can buy kits which plug into your cigarette lighter allowing you to hook up your bluetooth kit. Finally, for those of us who love to be relaxed, we end our top 5 gadgets list with the relaxor massager providing us with the ability to have a full massage whilst we drive home. With 8 individual massage motors, the massager has varied intensities and speeds turning your older car into a modern day motor. Have you added any of these extras to your car recently? Let us know.